Virat Kohli-led Team India will play 5 ODIs and 3 T20 against New Zealand in early next year, as per official schedule released by the BCCI. The ODI series will start from January 30 while T20 matches are scheduled to begin on February 6. 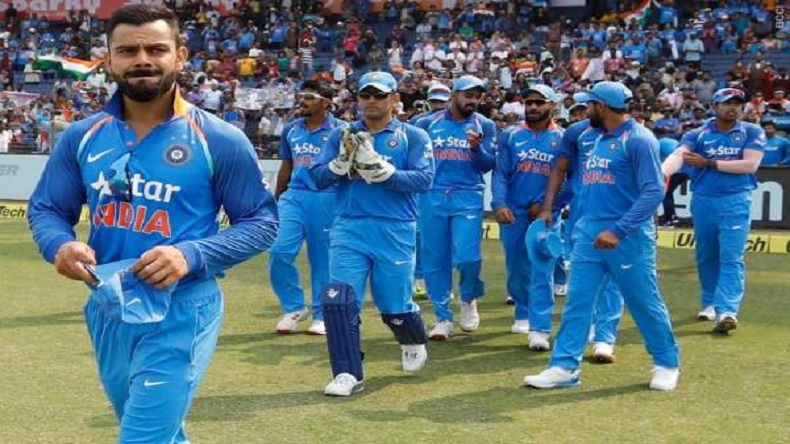 Indian cricket team will play 5 ODIs and 3 T20Is against New Zealand on its home turf in early next year, following India’s tour of Australia, according to Board of Control for Cricket in India (BCCI). The one-day matches will start from January 23 and shortest format of the game will be played till February 10. It would be a crucial tour for Men in Blue as it will be held months before the 2019 Cricket World Cup, scheduled to start on May 30 next year in England and Wales. The first ODI will be played at McLean Park, Napier on January 23 and last at Westpac Stadium, Wellington on February 3. Meanwhile, the T20 series will start from February 6, Wednesday with first match at Westpac Stadium, Wellington. Virat Kohli’s team is currently in England to play remaining 5 Test matches of their UK’s tour. As per leading sports website ESPNCricinfo, New Zealand Cricket has revised the timings of matches for Indian viewers. The decision was taken after New Zealand Cricket’s broadcasting agreement with Star Sports, said a statement released by the New Zealand Cricket, according to ESPNCricinfo. At present, India is one of the balanced teams in the cricket world, particularly in short formats, clearly depicts ICC’s latest Rankings, in which India stands at No.2 with 121 rating, followed by South Africa and New Zealand. However, India lost its last ODI series against the current leader of the ICC ODI Rankings, England. In ICC T20 Rankings, Pakistan is No. 1 team with 132 rating, followed by India and Australia.